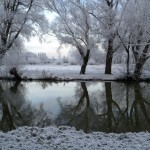 This autumn and winter so far have been weather adventures. 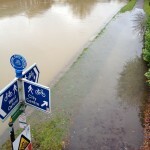 The story of autumn was one of flooding. 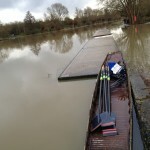 Heavy rains throughout Michaelmas term in addition to construction at Hinksey Weir lead to consistently red and amber flags for most of the term. 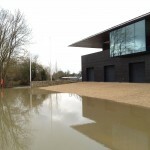 Just as things were starting to calm down in time for Christ Church Regatta, heavy downpours on already-saturated ground of the northwest Thames catchment area lead to flooding more extreme than that seen in 2007. 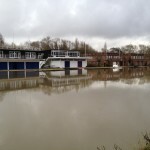 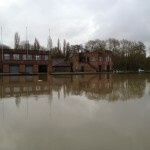 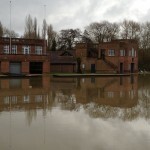 Many boathouses were flooded, and even University squads had to find alternative places to row. 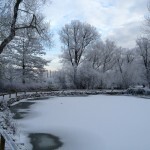 December so far has been dry but beautiful: an early dusting of snow combined with unseasonably cold temperatures have lead to a winter wonderland feel in northern Oxford, including the University Parks. 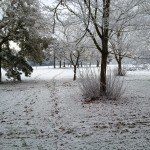 Unfortunately the centre city area remains mostly snow-free, so no pictures of glittering old colleges this time. 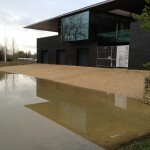 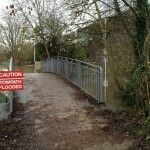 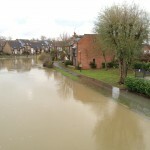 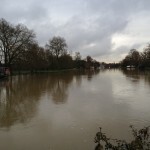 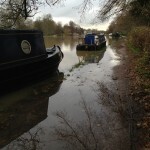 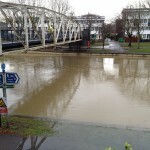 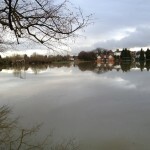 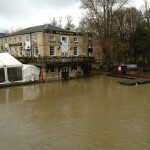 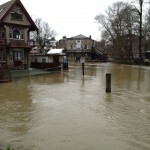 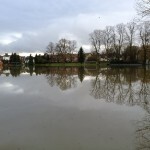 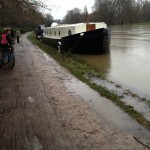 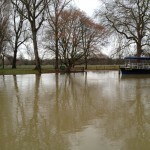 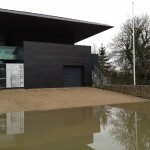 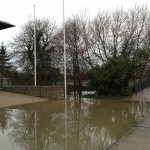 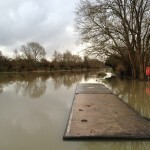 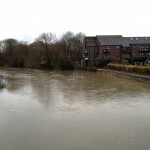 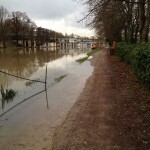 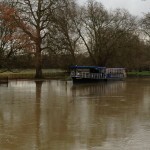 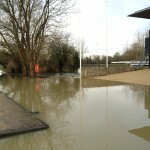 First, a few more pictures of the flooding, taken the day before its peak. 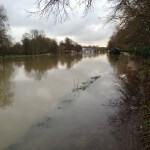 The graph is from Anu Dudhia, an Oxford rowing guru who keeps track of the river level and many other things. 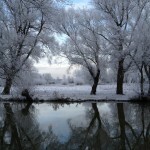 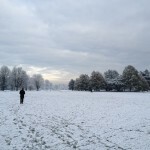 Finally, a few more snapshots of Oxford University Parks in the snow.